How do I login with my Co-Curate account? 1. Click on Login in the top-right menu. 2. If you have a Co-Curate account sign-in with your username and password. 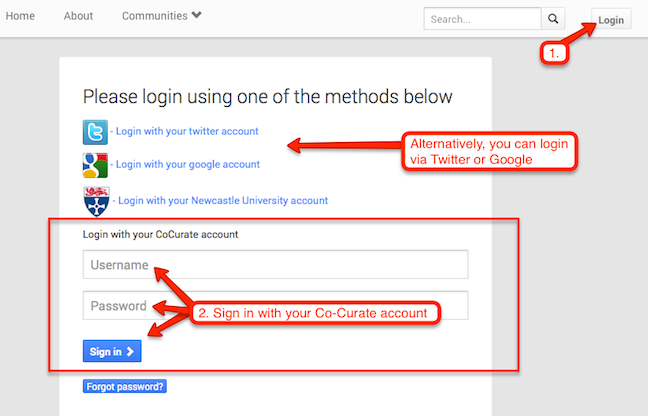 If you don't have a Co-Curate account then you can login via Twitter or Google (you can create a free account on these if you don't already have one). Sorry, Google login is currently unavailable. See also: how do I logout?